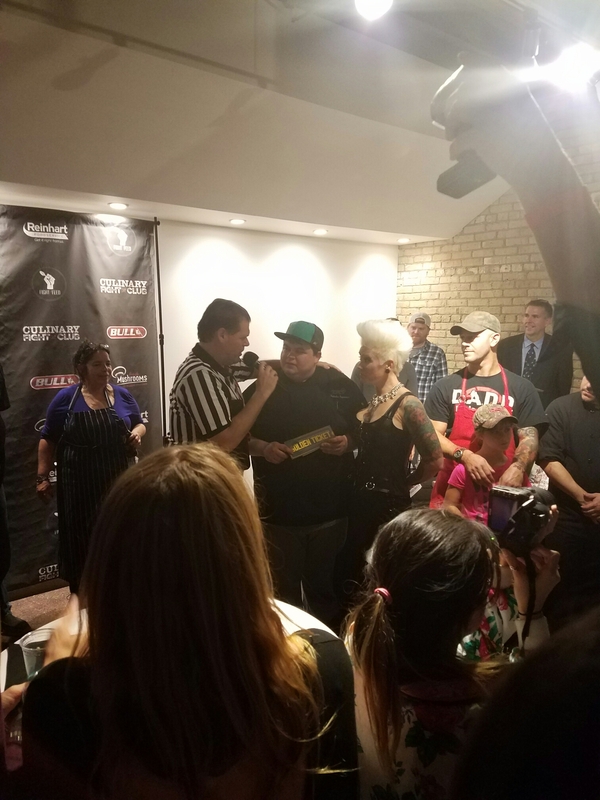 On Monday, October 17th, I had the pleasure of attending this month’s Culinary Fight Club, hosted by the amazing non-profit organization, Fight2Feed. DIRECTLY to the homeless bystanders of Chicago, I was more than eager to give my share of a donation! When I have time to give, I’m definitely going to be volunteering with them as well. So the event at hand is one of the most fun events I’ve ever attended. Chefs, both by profession or by passion, compete in a monthly contest similar to timed ones seen on TV. They are given 60 minutes on the clock, secret ingredients, a limited pantry, and a theme. 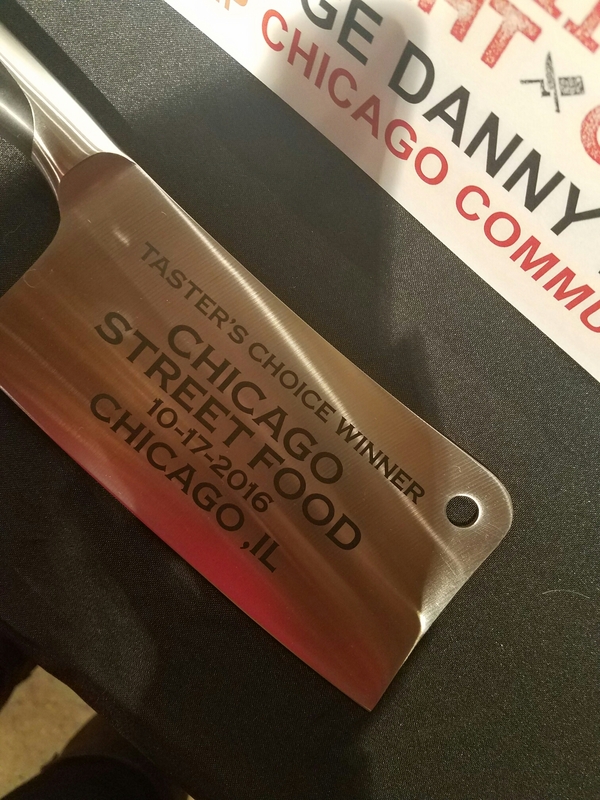 I consider myself, as a guest, EXTREMELY lucky in that the theme for this month was none other than Chicago Street Food. While many indulge in the high end, fine dining opportunities around the city & suburbs (and there are definitely plenty to chose from), my biggest pleasures are found in local hole-in-the-wall, mom & pop shops. So this seemed like something I would love from the very beginning. 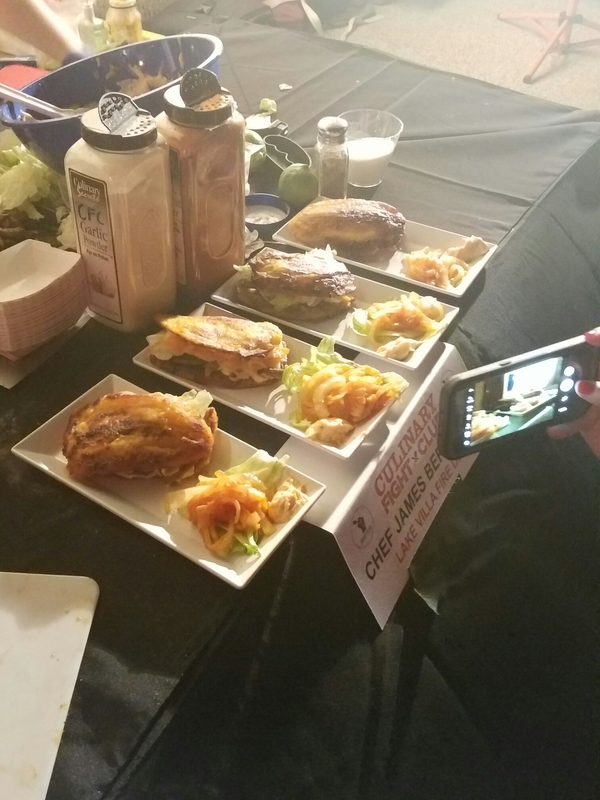 There were 3 judges, plus a “Chef-eree”, who would choose the top 3 winners. Guests would then be asked to taste and nominate the “People’s Choice Award”. Now on TV, the most I’ve seen is 3 contestants. This showdown had twice as many! With 6 dishes to try, the judges, the audience and myself all had a difficult competition to assess! 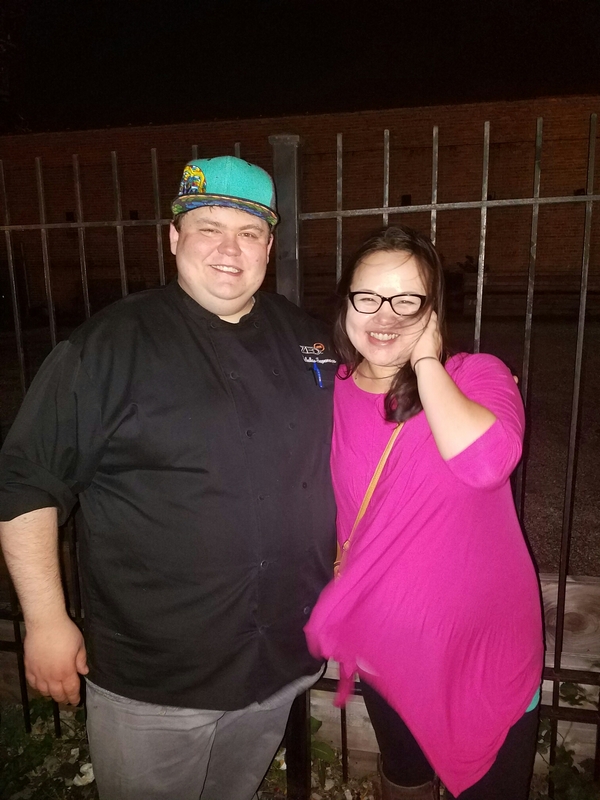 Again, the theme of the month was Chicago Street Food. 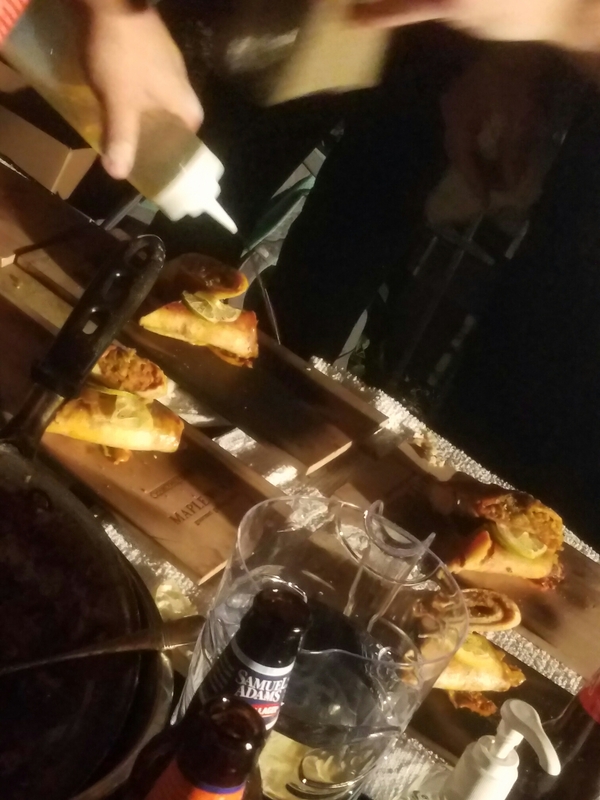 Most of them had used plantains, and all but 1 chef used tortillas or pita bread as a “carrier” carb. 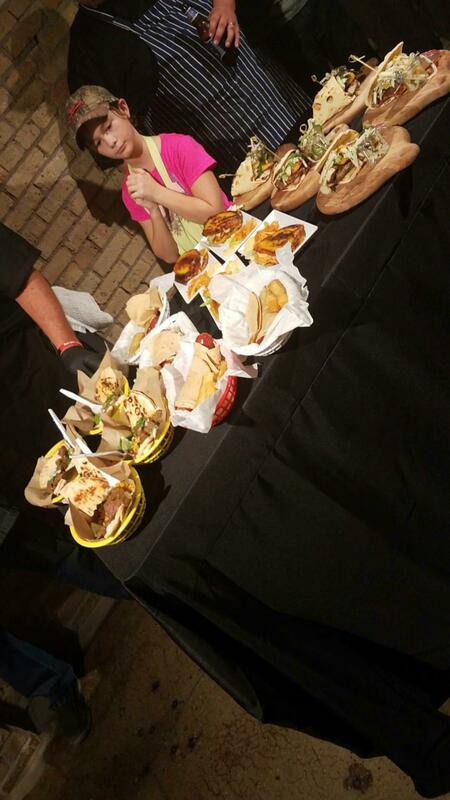 The one unique chef (fireman James Bernstein & his ‘sous chef’ daughter) put together one of my all time favorite “street foods” – jibaritos! My other favorite was Chef Nicholas Saponaro. Let’s pretend I look absolutely adorable in this picture, instead of hair ruined by the wind and face melted by the hot spotlights inside. 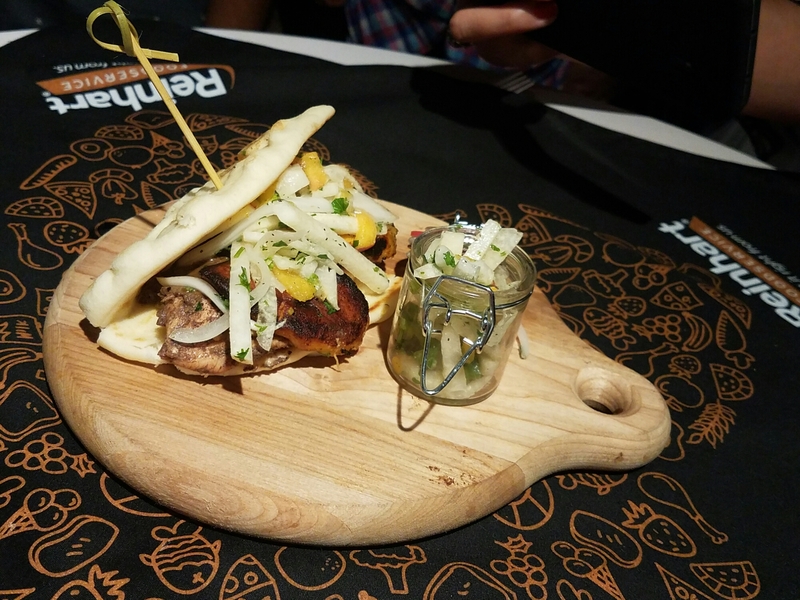 His dish was out of this world to me – Jamaican jerk chicken sandwich with jicama slaw and crisp plantains, served on a pita – and clearly others thought so as well. He ended up winning not just 3rd place by the judges, but Tasters Choice as well! 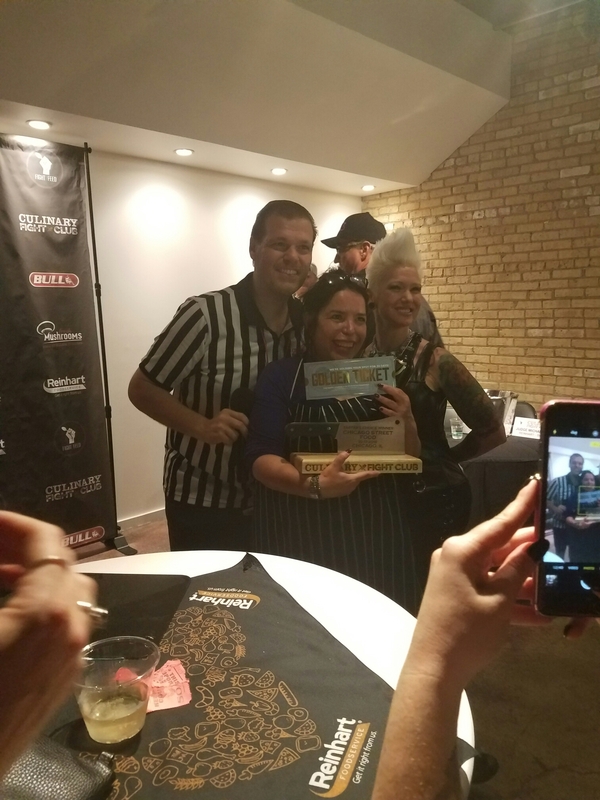 The top two actually ended up tying for first, but after using the Chef-eree as a tie-breaker, Chef Millie Ayala ultimately won with her rendition of a Chicago Hot Dog, beating out Devon Seafood Grill’s Chef David Rolon and his vegetarian spring rolls. I can’t wait until the next event. And to be able to volunteer with Fight2Feed. For more information on their organization, visit their website here. 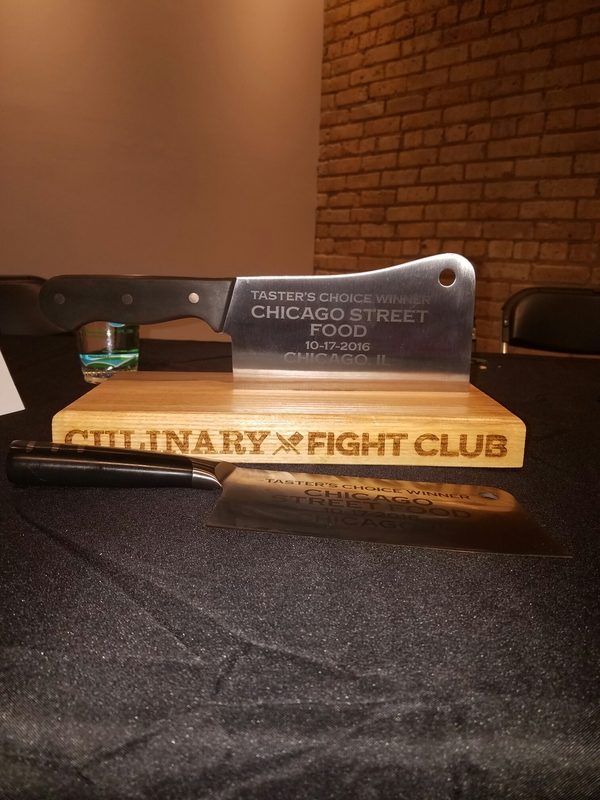 And make sure to visit Culinary Fight Club to keep tabs on future events!